The new trailer for Joss Whedon‘s The Avengers manages to simultaneously make the movie look epic — by playing up the widescreen action and pumping up the threat level — and intimate — by featuring tiny little character moments that demonstrate these are Marvel characters (by which I mean, damaged souls). Check it out at Apple trailers. 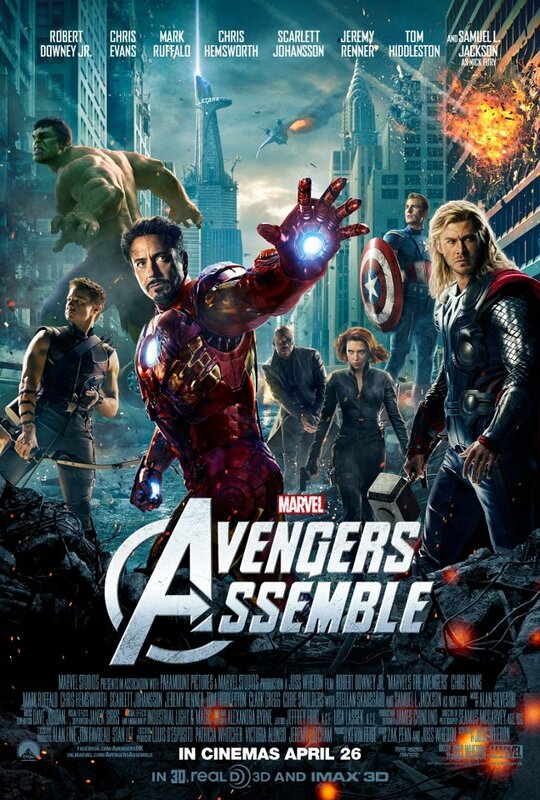 And check out The Avengers in theaters May 4. 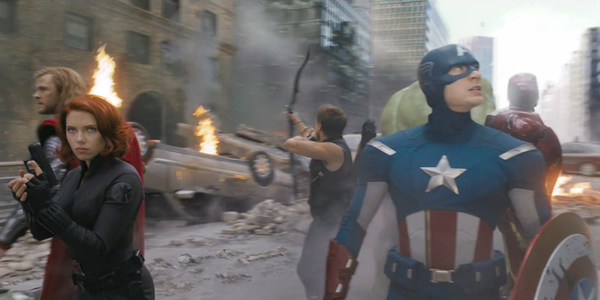 The Avengers Will Assemble in Britain — and Soon! The Avengers — Joss Whedon’s big-budget adaption of the comic book and featuring Marvel’s mightiest movie heroes teaming up — will sport a slightly different name when it is released in the U.K. — and British fans will get to see it a full week earlier than we Yanks. This week’s episode of THE WALKING DEAD was all about confrontations that have been a long time coming — especially Rick and Shane finally…er, talking it out. That particular explosion has been simmering since early in the first season. When Rick (Andrew Lincoln) and Shane (Jon Bernthal) set out to release the captive Randall (Michael Zegen) at least 18 miles from the farm, they ended up finally talking about the elephant in the car. 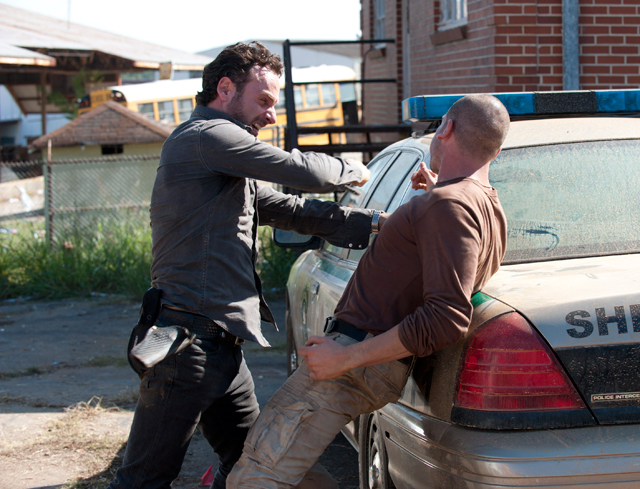 No, not the blindfolded Randall in the trunk, but all the issues between the two alpha males: from Shane abandoning Rick in the hospital to his affair with Lori (Sarah Wayne Callies) to sacrificing Otis to challenging Rick’s leadership — it was all on the table. 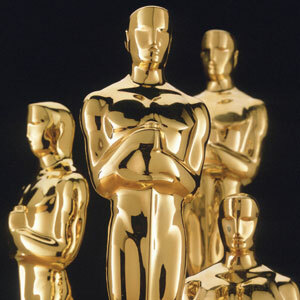 OK, so how did I do with yesterday’s pregame predictions for the 84th Academy Awards? All in all, not too shabby: 14 wins and 10 misses. In my defense, I think this was a particularly difficult year to predict – which, objectively, is a good thing. 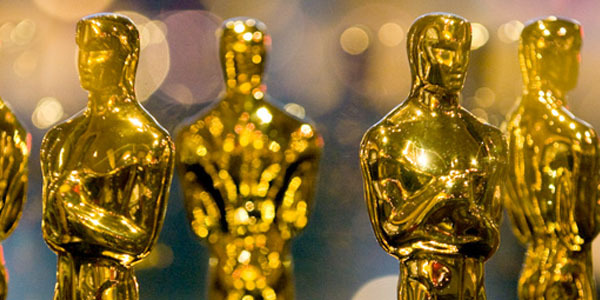 It’s Oscar Sunday – the second biggest American non-holiday behind Super Bowl Sunday – and that means it’s time for Academy Award predictions. When I make my picks, I like to predict who I think will win, and also list who I think deserves to win (which is not always the same). Check out this 4:27 clip of scenes from John Carter, based on Edgar Rice Burroughs‘ seminal planetary romance novel. John Carter is being released on March 9 in 2D, 3D and IMAX formats. Catch at least one of them. 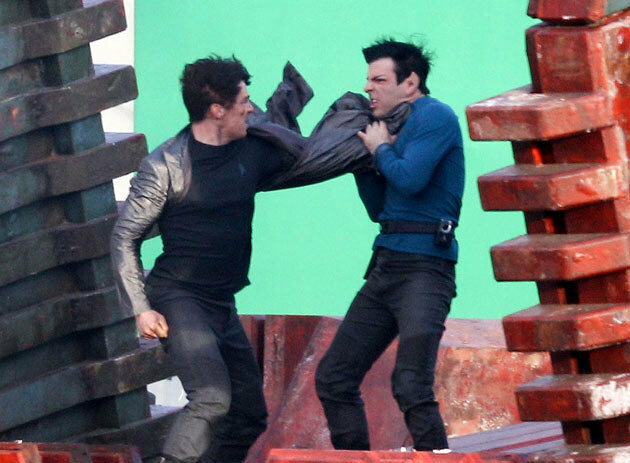 At last, a photo was released from the filming of Star Trek 2, 2013’s sequel to J.J. Abrams’ 2009 reboot of the Star Trek franchise. And the images are not simply actors standing around in character; these are action shots! First up, we see Zachary Quinto as Spock, battling Benedict Cumberbatch, a newcomer to the Trek universe, who is playing the unnamed, unidentified Big Bad in the film. Some folks will doubtless recognize him from starring in the BBC’s Sherlock Holmes reboot, SHERLOCK, which transplants the Victorian sleuth to modern times.